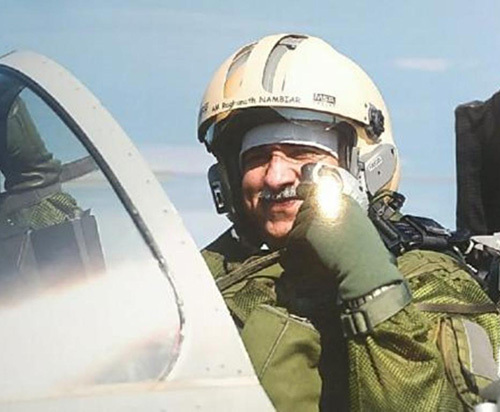 India’s Deputy Chief of Air Staff Air Marshal Raghunath Nambiar on Thursday flew the first Rafale fighter jet manufactured by Dassault Aviation for India, official sources said. Nambiar, who reached Paris early last week, flew the aircraft in France to assess its efficacy, the sources said, PTI reported. He is in France to also assess the progress in the production of Rafale jets by Dassault Aviation. The delivery of the jets, capable of carrying a range of potent weapons and missiles, is scheduled to begin from September 2019. A team of the Indian Air Force is already in France to help Dassault Aviation to incorporate the India-specific avionics and weapons system in the aircraft. In 2016, the Indian government signed a government-to-government deal with France for purchase of 36 Rafale jets.